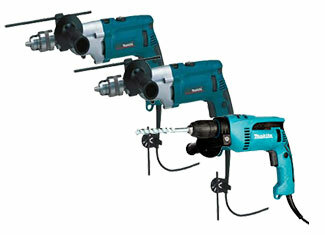 Power, speed and reliability are the virtues that set Makita hammer drills apart from the rest of the competing products. There is a reason why professional craftsmen and enthusiasts trust the brand alike. Makita hammer drills are notorious for their unmatched performing abilities and durability that puts competition to shame. Despite all the qualities, excessive use, accidental drops, environmental rigors and many other factors can cause trouble. When that happens, there is nothing to worry about as you can buy Makita hammer drill parts at toolpartsPro. These are genuine Makita replacement parts being sold at reasonable prices. Here, you will get the best combination of quality and price. 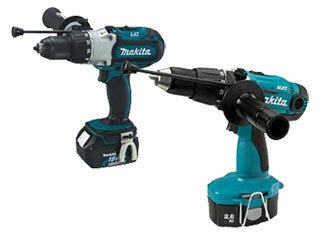 At toolpartsPro we have a wide range of Makita Hammer Drill Repair Parts including spare parts of Makita 8390DWPE, 8444D, BHP452, BHR200 and various other models. Online ordering is an easy drill here but in case of any difficulty, you may call us at our toll free number 888 982 6540 to know more about our products and phone orders.